If any programming language can take the position of PHP then that programming language is PYTHON not any other else. This is the hidden truth python is very special language for web developer and software developer. Python programming language is a simple yet powerful general purpose computer language. Learning how to program using python programming language gives you a lot of opportunities like creating desktop application, developing web applications and even building android applications. Python is also used by Google, Yahoo, Quora, Dropbox etc. Well I have written this post to list some of the top recommended python books for beginner in the programming world. 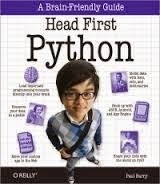 Head first python is great python book for beginners. 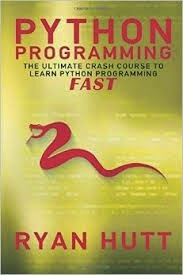 The author of this book clearly explains the python language for you to understand very well. Throughout this book you will learn how to install python on your computer, then learn how program python applications by learning the syntax in a fun way. This book also teaches you how to develop web application and also build android applications too. With this book you won’t only learn the syntax but also program with it, with lot of examples. Python for the absolute beginner is a good book for people who want to learn python programming. Written by a computer science instructor, the author teaches how to program python applications by build games. This python beginner book is packed with lots of examples and at the end of each chapter you challenged with a python task. 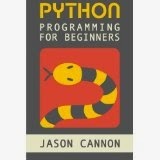 I think you should get this python book if you are new to programming. 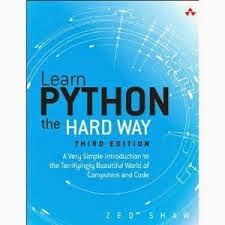 Learn python the hard way is another python book for beginners. The author explains python language in a simple way for you to understand. Throughout this book you will program with more than 40 examples. You will also receive some programming tips, tricks and falls as use this book. Learn python the hard way also teaches you how build some basic web applications. 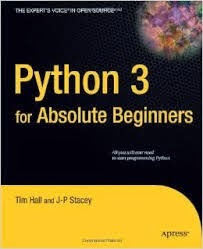 Python 3 for absolute beginners is also another recommended book for people who are new to programming or to programmers who want to learn python programming. This book teaches you how develop software designing skill and also how to develop software applications. Throughout this book you will how to create your own software from simple “Hello World”-type programs to stand–alone windowed applications. Learning python 5th edition is an awesome python book for beginners. 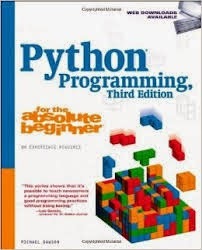 This book covers every aspect of the python programming language. It gives you an in-depth introduction to the core python language and also teaches you how to write quality and efficient python code. This book is packed with lots of quizzes and examples. You won’t only learn how to write python code but also receive helpful instructions. The author of python programming for beginners gives you a clear and concise introduction to python programming and it is a good python book for beginners. The author explains new concepts and commands in plain English for you to understand. 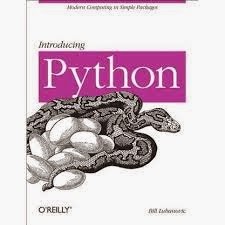 Python programming for beginners also contains lots of examples and covers everything you need to know about the programming language. Introducing python is another excellent python book for beginners or programmers new to python programming language. The author takes you from the basics of the language to advanced topics. With this book you will be able to learn data types, math and text operations, write large programs in Python, with modules and packages, use Python to build web clients, servers, APIs, and services and a lot more. Just grab this book and learn more. The author of python programming takes you through a step-by-step approach to learn how to create programs using python. This course-book will allow you to practice, learn and deepen your knowledge of Python as a new programming language in an easy and fun way. Programming in python is also an essential python beginner book that teaches you how to build programs using python programming language. The second edition of this book teaches you everything you need to know to develop applications, use third-party python 3 library and even create your own library. Throughout this book you will learn how to create custom packages and modules, writing and reading binary, text, and XML files, including optional compression, random access, and text and XML parsing, programming SQL databases and key--value DBM files, building usable, efficient, GUI-based applications and much more. 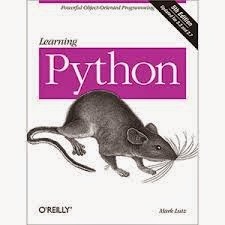 Don’t let the size or the number of pages of any the above books prevent you from learning python programming. You can become a python programmer by reading the above books and not obtaining any college or university degree in computer science. I wish you all the best as you study a new programming language.